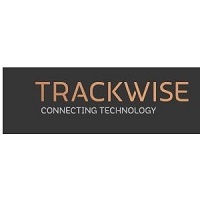 Trackwise Designs Plc (LON:TWD), a leading provider of specialist products using printed circuit technology, has today announced its interim results for the year ended 30 June 2018. These results relate to the trading period immediately prior to the Company’s recent Admission to AIM. o In automotive our work with a leading OEM has continued and we are actively engaged in the second phase of their EV battery pack management solution and also with multiple other participants in this rapidly evolving field. o Continued to invest in our technological development with a doubling of headcount in our development team. “In the last six months the Company has moved to new premises and completed a successful flotation on AIM raising £4.6m in an oversubscribed fundraising. Throughout this period, we have continued to be focused on addressing new opportunities. I am pleased to be addressing shareholders for the first time following the Company’s successful Admission to AIM. The Company, which will celebrate its 30th anniversary in 2019, has pioneered a state-of-the-art new wiring technology and management are well set to deliver this important development for the next phase of the Company’s growth. I look forward to leading the Board and management on this journey. The Board are delighted to welcome all our new shareholders and thank them for their support. The RF division has traded in line with expectations for the first half and is expected to do so for the remainder of the year with order books in line with historic patterns and management plans. Trading in the IHT division continues to be well ahead of last year with a continual increase in enquiries for the use of the technology in a range of applications across our chosen markets. Revenues are well ahead of last year (567%). We successfully moved our production facility to the larger premises at Ashvale and increased both our capacity and capability whist doing so. The Company’s financial performance for the half year and to the date of this announcement is in line with market expectations for the full year. Trackwise Designs Plc is an established business that manufactures specialist products using printed circuit technology. The Company consists of two divisions Radio Frequency and Improved Harness Technology.